Fort Lauderdale premises liability lawyer Joseph Lipsky understands that premises liability is a general term which covers all types of accidents or injuries occurring on another person’s or business’ property. Florida Law charges the owners and operators of properties and businesses, with the duty to maintain their premises and property in a reasonably safe condition. Essentially, the law requires businesses and property owners to keep their stores, supermarkets, restaurants and properties safe for the people who visit them or shop there. When you are injured on someone else’s property, you may be entitled to seek compensation through legal action. Even in cases where insurance is offering a settlement it is best to speak with an experienced premises liability attorney before accepting to ensure you are not being cheated out of what you are due. Miami premises liability injury lawyer Joseph Lipsky has helped hundreds of seriously injured victims of premises liability accidents recover millions of dollars for their damages. A we provide free no-obligation consultations, and help all premises liability clients on a contingent fee basis, injured accident victims are able to access our nearly 25 years of personal injury litigation experience on a no cost upfront basis; which allows all accident victims to meet and discuss their injuries, rights, and the best way to get the full compensation they deserve. 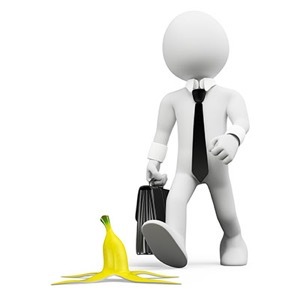 Many people think of slip and fall accidents when considering premises liability. Indeed, slippery or unmaintained surfaces do pose a high risk for serious injury and are a factor in many premises liability claims. However, unmaintained walkways are far from the only type of danger that can result in injury. Given the current laws, it is imperative to hire Fort Lauderdale premises liability attorney Joseph Lipsky to quickly conduct an investigation into the facts surrounding all such negligent security incidents begin as quickly as possible. We have the recourses and experiences to conduct such investigations into crime statistics and government programs to document and help our clients in proving their attack was foreseeable and preventable. We are dedicated to helping our clients recover the greatest amount of compensation for their injuries. The damages we pursue on behalf of our clients include payment of their medical bills, lost earnings and loss of capacity to earn in the future, and, of course, the pain, suffering, disfigurement, emotional distress and permanent disabilities which affect all aspects of their lives. We, at the Law Offices of Joseph I. Lipsky, P.A., have over 25 years of experience in helping seriously injured victims of Palm Beach premises liability accidents. We are well versed on Florida’s new and ever changing laws and how they affect these types of cases.